farfrumh0me, ouizbajr, bivhitscar, UARdevin, YASWELL and 3 others joined. Hey, I hope you don't mind me messaging you. It's regarding the "massacre" challenge. I'm really stuck on this, since my idea doesn't turn out to be something valuable. I noticed most of the r,g,b values are round (divisible by 10), and some pixels are not. Am I in the right direction? Would you spare a hint? osmus, Almadjus, anon151019, Roard, ARainchik and 35 others joined. Sorry everyone if I don't respond to messages... I am not active on HTB these days. benseshi changed their profile picture. where can i get the password,can you give me any hint ? from the forum i found that i can perform privilege escalation directly using SUID binaries. can you help me with that ? Zekah changed their profile picture. wabafet changed their profile picture. Heya. I was wondering if I could get some help with the initial foothold connection for Conceal. I understand that from the snmp-check and ike-scan results that I need to connect to the box using strongswan ipsec. I have the PSK hash which decrypts to "Dudecake1!". Any hints or website links would be appreciated. 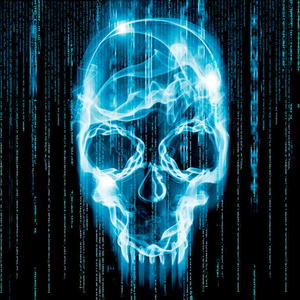 can you please help me with root "HELP Machine"
stdclass changed their profile picture. Hey there, would you mind helping me with Irked? I have user and I'm trying to understand the output of LinEnum.sh, but I'm not finding anything useful. I know everyone is talking about a particular binary, but I can't find an interesting one. Even compared to my own Linux machine. Hey dude, i need help on Help machine. What was the edit you did on your exploit? I'm having a lot of problems to find the php shell im uploading... Im looking at /support/uploads/tickets, i change my timezone but im unable to find this shell. Hey, hope you doing great ! need some tips for querier, can you help ? Hey, i need a hint on this machine. I started with the vector in helpdeskz were you can upload a file. I've checked every code (exploit, github) im sure that the path is /support/uploads/tickets what i cannot obtain is the file uploaded, the exploit tell me that it didnt find it. How can you obtain the url of the file uploaded? izmaglica changed their profile picture. so far i have gotten credentials from the smb share and the xslm file. But i am unsure what to do with them... they dont work for impacket... can you provide a direct hint? 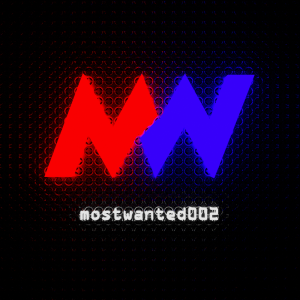 mostwanted002, rapunzel, steemcleena, nicname, minipekka and 23 others joined. CJ90 changed their profile picture. "You can obtain root without needing to use the QR code. If anyone needs a nudge in the right direction for root shoot me a PM. It's pretty easy to figure out once you stop over thinking it haha." Seanhtw changed their profile picture. k903 changed their profile picture. krownburger changed their profile picture. Hi man. I am stuck in arkham. I Know wich is the vulnerability is , but not know exploit yet. Can yoy give me some hint , abou encrypt /singn payload in java faces view state ? Some link when can learn. Thx.